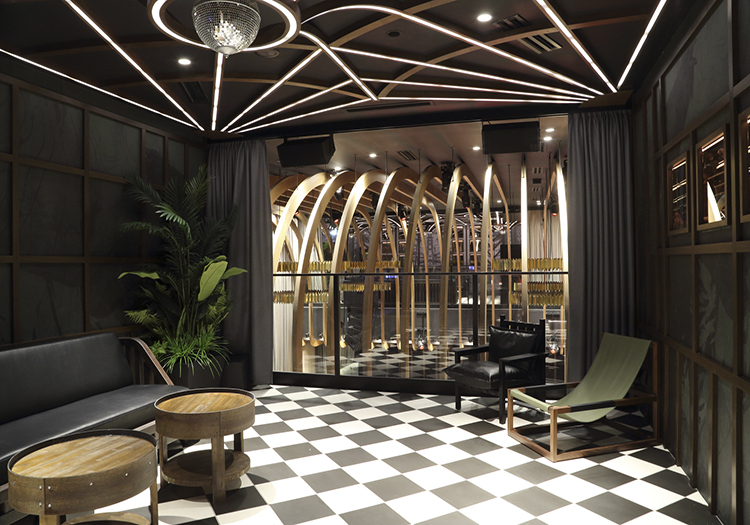 1Oak (as in 1 Of A Kind) recently opened its most ambitious and state-of-the-art club to date; a three storey, 1000-capacity venue at the base of Roppongi Hills in Tokyo. 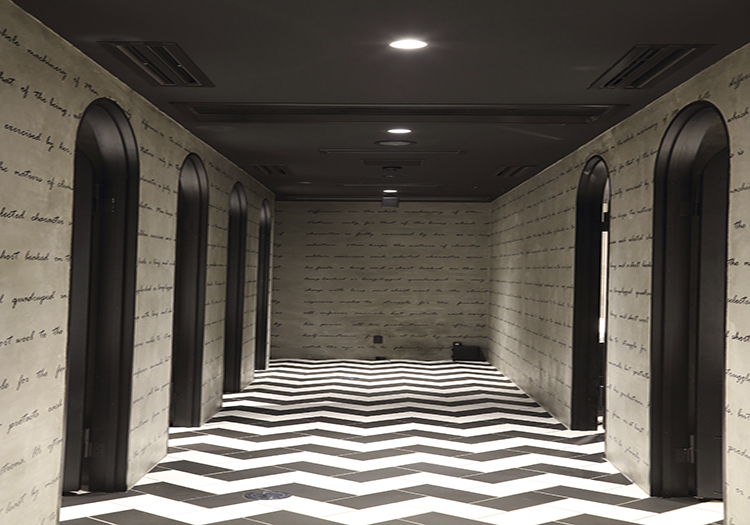 As with 1Oak clubs around the world, the latest Tokyo venue is not simply a nightclub. 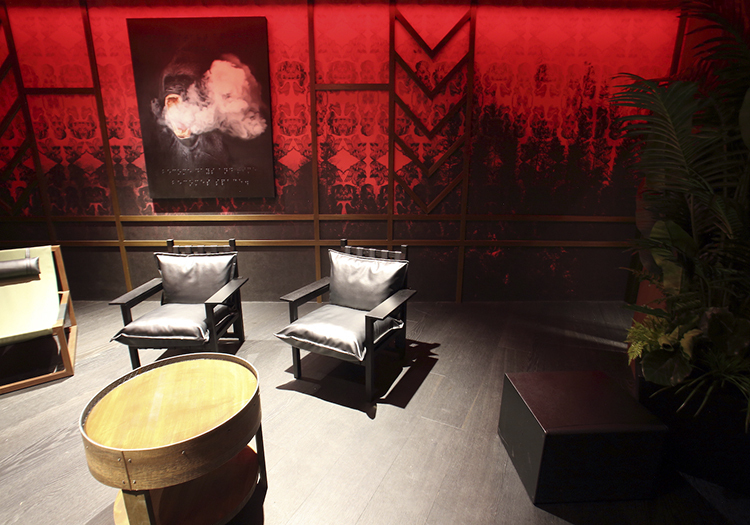 Founder Richie Akiva’s vision was that of an entertainment venue; an inspiring space capable of hosting live music, launches, premieres, after-parties and VIP events. Versatility without compromise underpins the business model and was a key component of the sound system design. It was important to the 1Oak Tokyo team that the audio system matched the quality of the immersive and compelling visuals and lighting. The goal was to have an even configuration across the three floors. The difficulty was to cover smaller areas, like the VIP rooms and side seating, with a suitable level of sound compared to the main floor. 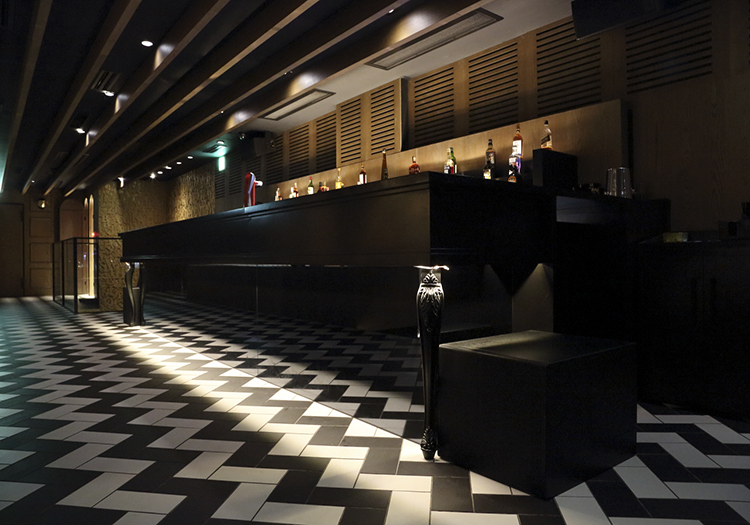 Central to 1Oak Tokyo’s layout is the stage, dancefloor, and DJ booth, equipped with d&b V-Series. 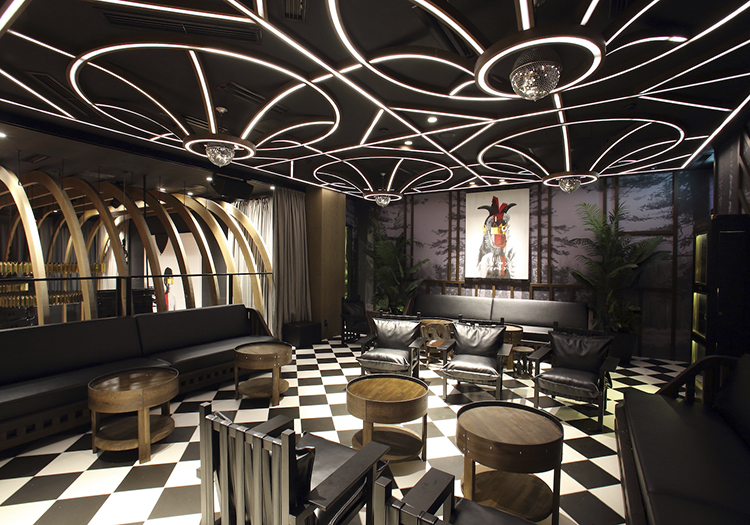 In addition to the dancefloor are seating areas, two VIP rooms, a private karaoke room and a roof garden. Each equipped with d&b E-Series and Y-Series loudspeakers with matching subs. Key to the d&b system design, was seamless transition between these distinct areas of the space, retaining the all-important energy through consistently high sound quality. 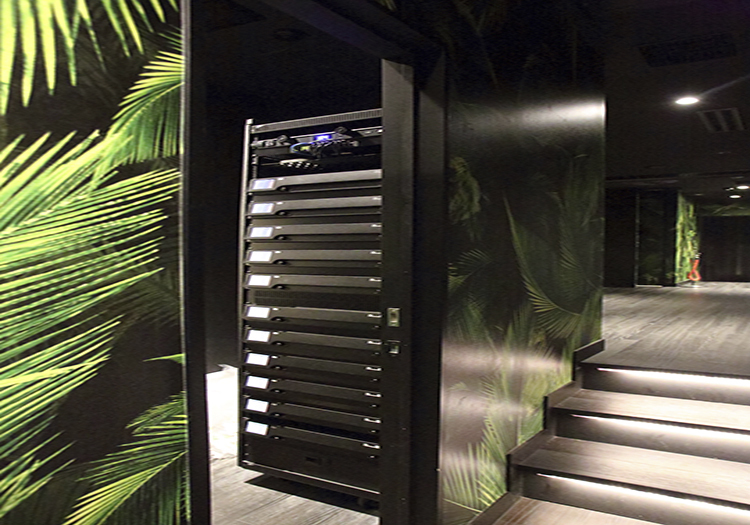 With even the restrooms equipped with d&b 4S loudspeakers, the result is an even, immersive and intimate experience connecting all three floors. Overall the sound in the venue is exceptional. Every little detail has been covered. Equipping every part of the three-floor venue with d&b – including the restrooms, allows 1Oak to provide a consistent, immersive, high quality sound experience in all parts of the club. Partnering with d&b enabled 1Oak to achieve their goal of offering a versatile event space for a variety of hospitality uses, without compromise. ATO decide to use LED technology with indirect lighting, delivering elegance that didn’t impose upon the interior design. ATO aimed to surround the space with dynamic, immersive movement, creating a warm, festive atmosphere. The team wanted the lighting design to follow the curves of Roy Nachum’s interior design, while bringing a dynamic dimension that allowed the venue to evolve. 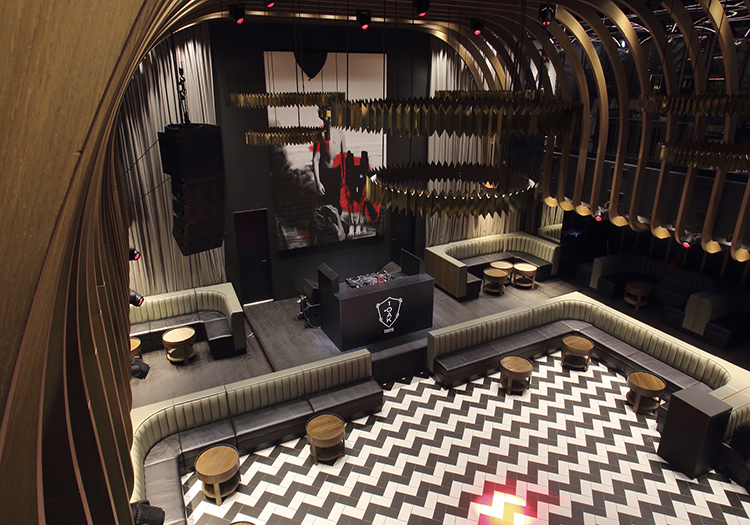 The idea was to represent the design of the club through different angles, creating the impression that the whole space changes throughout the night. It was important to create an immersive installation and surround customers and performers with a dynamic experience. ATO wanted to convey the feeling that the whole venue was physically dancing and pulsing. To achieve this goal ATO chose to utilise 25 Robe Spikies due to their versatility, as well as six LED chandeliers. The Spikies are controlled using MA Lighting, MA onPC Command Wing board and a touch-screen PC. An LED System is used throughout the venue, using a brand-new type of LED strip that is ideal for creating colours and atmosphere to match the wooden design of the venue. ATO worked with their manufacturer in Asia to develop new high density – 30 pixels per meter – LED strips with an extra warm white chip to convey the elegant and natural atmosphere of the venue. The fourth chip also allows for precise colourimetry control. All the LED strips are connected to 24 Art-Net decoders with four SPI channels, each of them linked to a RJ45 switch connected to a media server. MADRIX software was used with the Ultimate (256 DMX universe) license for the dancefloor, VIP areas and entrance. MADRIX was selected as it was able to support over a kilometre of LED strips with no delay and audio reactive feature. The MADRIX software is a huge part of the installation at 1Oak Tokyo; identifying each pixel independently, it helps the light operator to deliver dynamic, harmonious, generative effects live through the console. 1Oak Tokyo opted for an ambitious lighting and visual installation, lighting design that augmented Roy Nachum’s work. Robe Spikies were selected to create pulsing lights to make the place feel like it was dancing. The ceiling in the main room of the venue is constructed of wood, made up of a series of vertical arches, similar to the bone structure of a whale. ATO worked closely with Roy Nachum, Mercer Projects, to deliver an elegant and unimposing lighting design using LED technology. The main challenge was to correctly balance the different speakers to cover all areas of the club. As the arches provide good sound spreading, it was very important for the sound engineering to work with the room and not against it. The d&b loudspeaker remote control software was put under heavy use to fine tune the system during the first opening week. 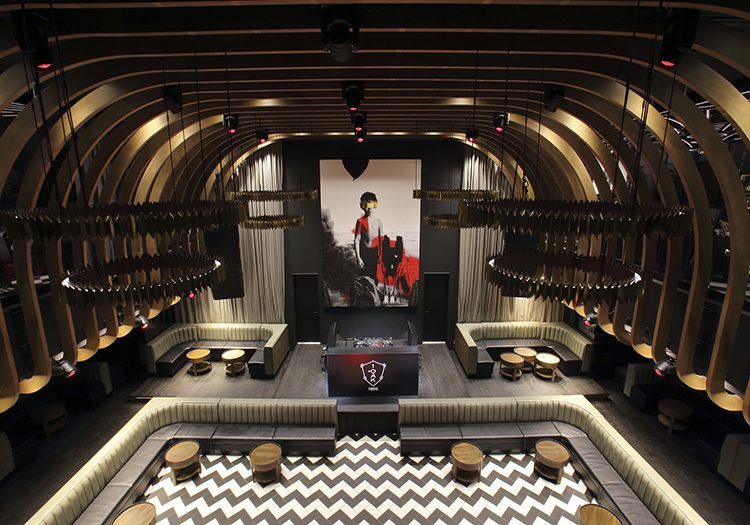 The end result has seen 1Oak Tokyo become another incredibly well designed, luxurious nightclub from the Butter group. The VIP rooms have independent LED Systems. The LED light system can be controlled with an iPad connected to the Media Server using Wi-Fi. 1Oak wanted a system that allowed customers in the VIP rooms to control the lighting. With the iPad and a custom control page, customers can play with the lighting and create a mood that suits them.